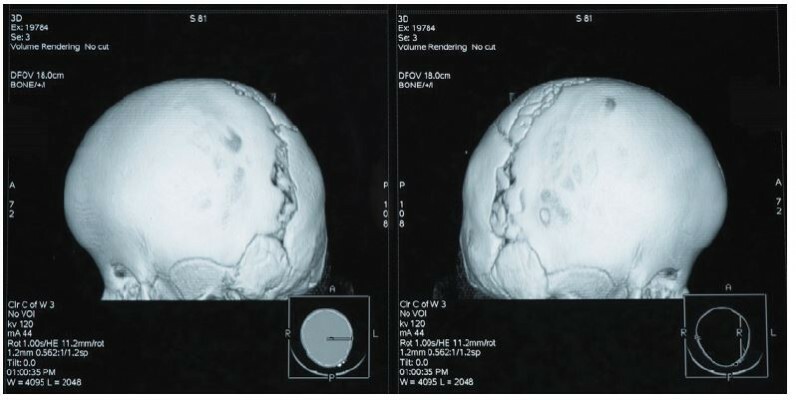 Abstract: Craniosynostosis (CS) is a condition where one or more of the cranial sutures fuse prematurely. It affects almost 1/2,000 newborns, and includes both syndromic and non-syndromic cases. To date, variants in over 70 different genes have been associated with the expression of CS. In this report, we describe two unrelated cases that presented with coronal CS. TCF12 sequencing analysis revealed novel frameshift nucleotide variants, which were evaluated as pathogenic according to the current guidelines for interpreting sequence variants. These findings expand the spectrum of TCF12 gene variants related with CS and support the importance of screening for such variants in patients with coronal synostosis.